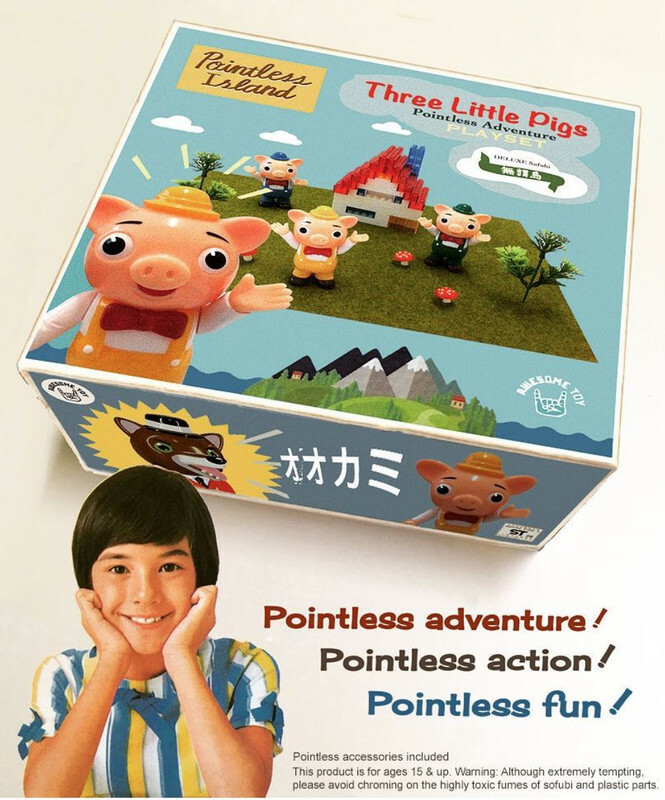 Discussion in 'Other Asian Toys' started by spacemonkey66, Jan 24, 2019. I have started this thread for Pointless Island as I can’t find any mention of them on any of the forums (or I may have just not seen it). Please let me know if you think this thread belongs in the Awesome Toy thread (because they are produced in conjunction with AT), or should Pointless Island have it’s own thread? These toys have an intended retro style which is one reason why I love them so much. The larger of these is approx 12 to 13 cm tall, whilst the smaller ones are approx 9 to 10 cm tall. The paintwork on them is super! 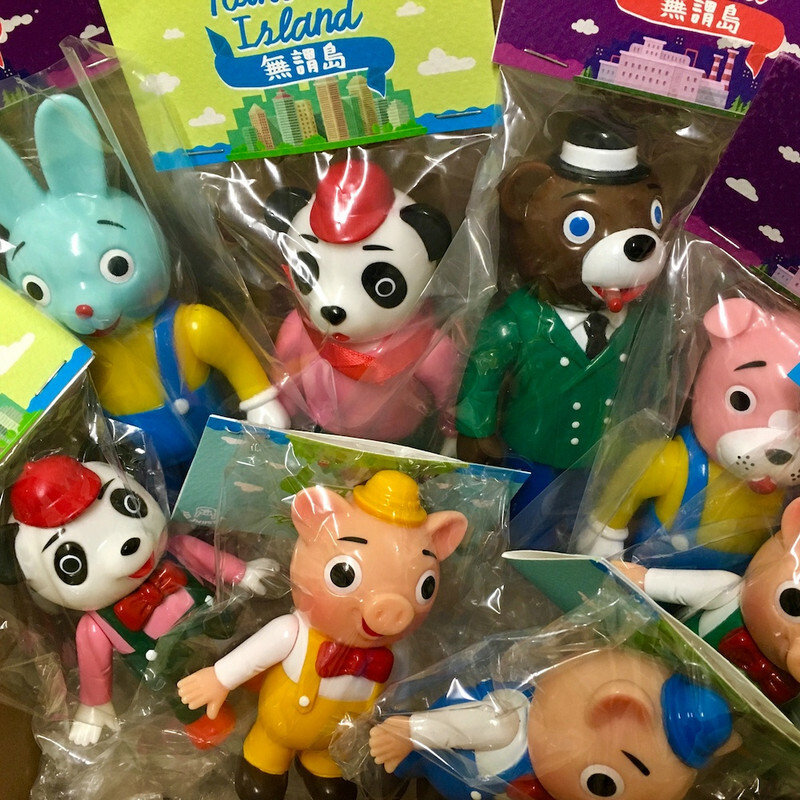 Pointless Island sofubi were released in early 2018. 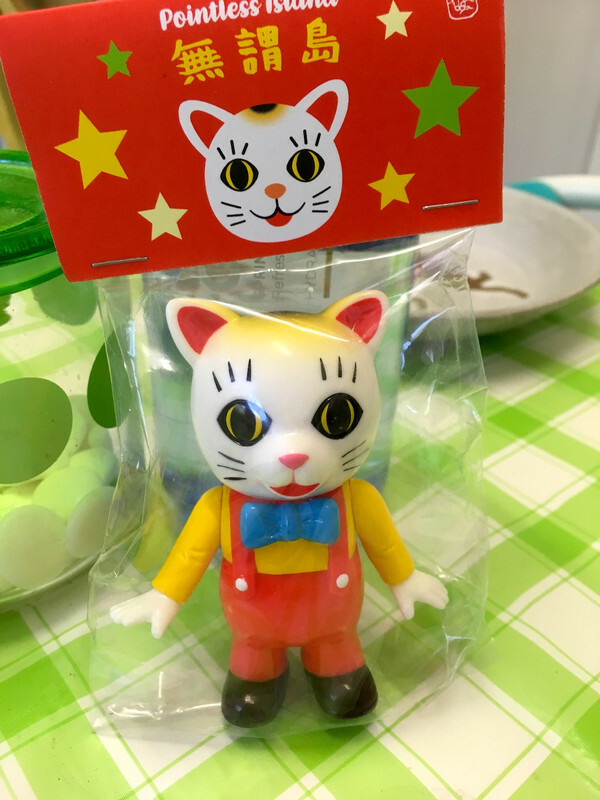 They are designed by Meat Cat, and produced by Awesome Toy. Who else is a fan of these? I created a few little dioramas, which I posted on my Instagram page. Photos below. “It has the peculiar cultural background and unique geographical environment that can not be found anyplace on earth. Every area in the island has its own spiritual core. It is right to follow the rules，and deviation from the norm is also tolerated. It is true that you can always find the value belonging to your mind. Of course, you will also get a distinctive life experience: Whether you become a believer in the beauty of nature on the island, or to go to the depths of the island to explore an orderly industrial area, or to learn to surf on the edge of the sea off the island, then to go to a hidden waterfall and let yourself immerse in the sound of running water, and watch a cloud of fine spray came up from the waterfall. The island is absolutely the place where you want to live for a lifetime! No one can measure the distance between you and island, only the man of pure heart can go to this place. foto junkaay, patrickvaz, ungawa222 and 15 others like this. You are a shoe in for the photo contest. I'm a fan, I hope they make some weirder colorways. Rich and spacemonkey66 like this. They have done some other colorways of some of them. 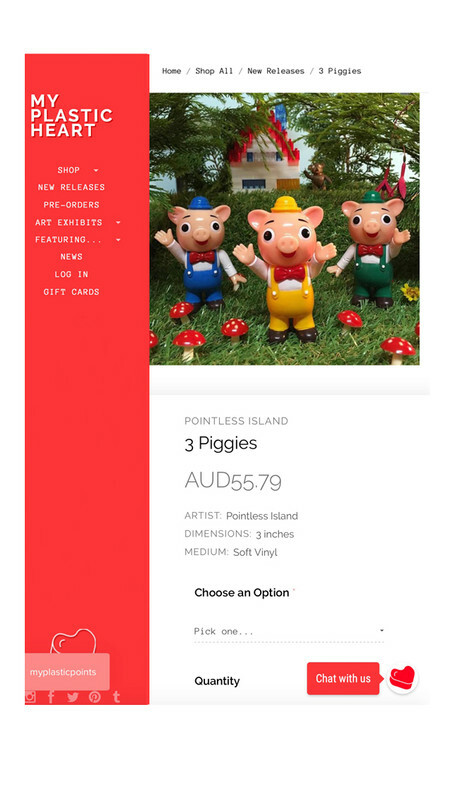 I have seen the zombie piglet versions! Martin, those dioramas are fantastic!!! Amazing work, and so perfectly suited to the 'world' of these fellas. I agree, these are a really nice line, worthy of some attention here. I don't have any myself yet, but could easily see myself adopting any of the ones they've released so far. They've perfectly captured that vintage toy vibe I think; you could easily see these being by Bullmark and co. straight outta the '70s. Simple, creative, and fun - plus just a wonderful colour scheme. Top that off with dedication to quality and the execution of this idea = wonderful toys. Honestly, this is the sort of thing that all those "artists" trying to break into the sofubi scene should take note of. Anyhow, short of it is, I really dig them. It is only a matter of time before one lands in my house, I bet. 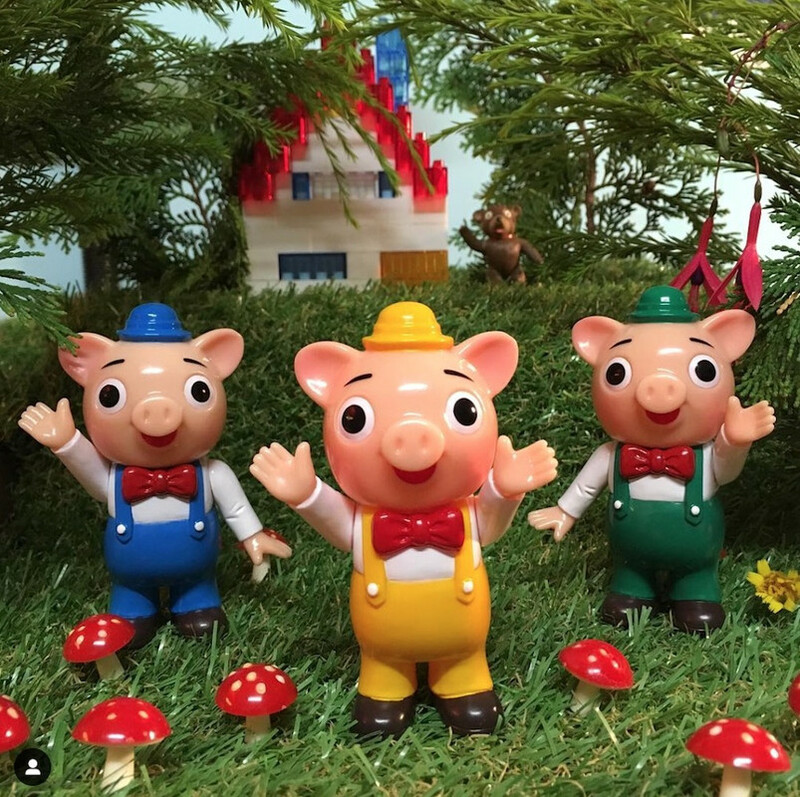 I guess I read too much Richard Scarry as a kid or fairy tales of other anthropomorphised characters, but this tingles a lot of happy feelings for me. Thanks for starting the thread! Thanks so much Steve! I love it that you're a Richard Scarry fan like me! His work certainly was a big influence on my art style. These toys are really lovely in hand. Attention to quality and detail is perfect. They are nicely priced too! I really like these! Thanks for posting and bringing this line to our attention. The frog worker looks like a vintage Japanese cheap toy that I have seen before. Not sure if the others are in reference to any existing toys. 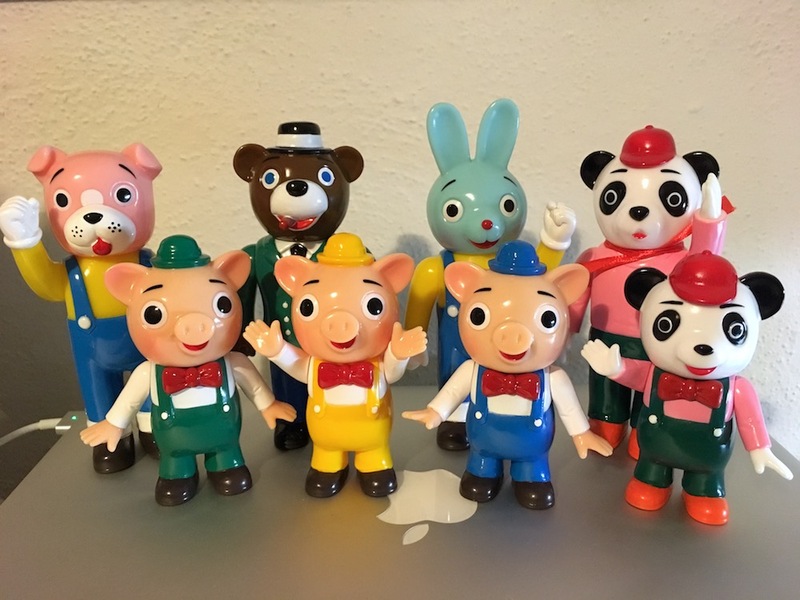 They remind me of a mix between Animal Crossing and vintage Japanese mascot characters. Just for my own reference, these are HK soft vinyl? Yes, I believe they are soft vinyl produced in Hong Kong. I need to get the frog next! Yes! 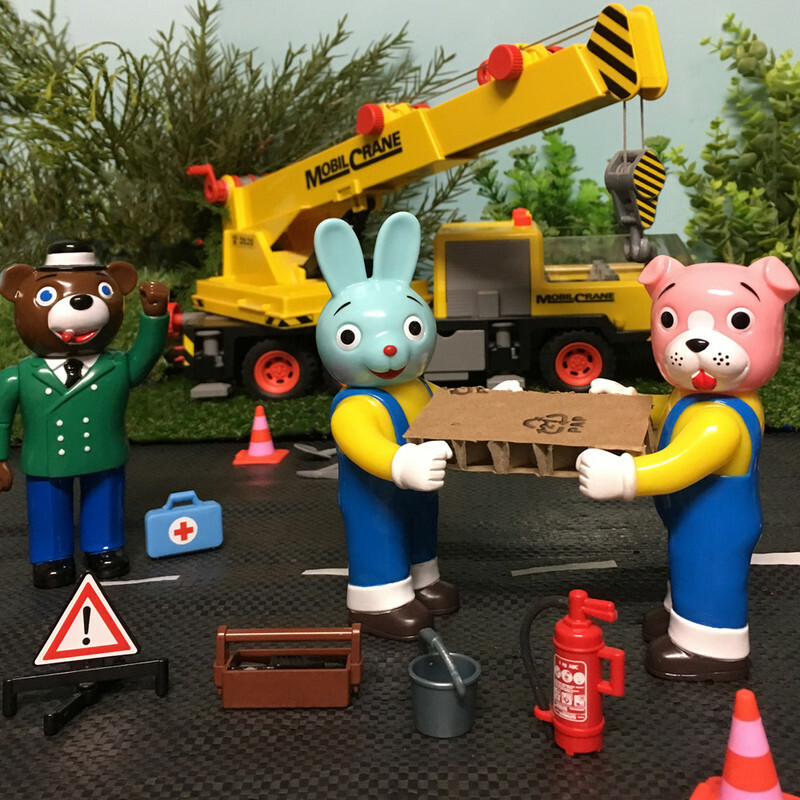 The crane and accessories are Playmobil. I had to grab that Fortune Kitty. Too cute! I'm really surprised a lot of these are still available, solid designs across the whole line. I made this advert in photoshop to enter the Pointless Island competition they are currently running. Greasebat, Mr. Humphreys, deafmetal and 15 others like this. Love them. The mouse is my favorite ! The frog reminds me of something vintage too. If they release an ape, I might get out of my comfort zone for it ! The Moog and spacemonkey66 like this. animator and spacemonkey66 like this. Thank you so much Steve, you're very kind. Took me hours to make but I love creating these types of things! Greasebat, smurph, GoldenArmKid and 4 others like this. Now that’s a great toy ! GoldenArmKid and spacemonkey66 like this. Well now, that is a disappointing. This isn't the first time something like this has been brought up here. I am sure you would have given permission, but I don't think that is the point; it is more of what the behaviour suggests. The only thing with which I can likely help explain this, is that your photos are so well done and incredible, especially for these toys, that they just assumed that it was 'actual product shots/Awesome Toy photoshoot' hence they were using stock 'product images' to promote the toys. This speaks to how nice your shots are. But it is not excuse for not checking and asking for permission either way. Must have! Cant wait for mine to arrive. Your presentation of them in your dioramas is beyond stellar, and puts these toys in a total class of their own. WOW!!! 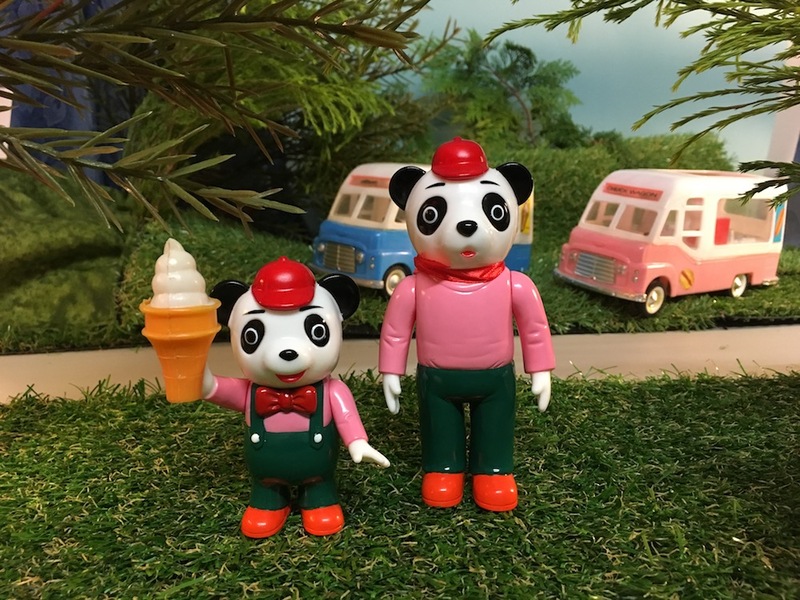 As Daniel pointed out, these have a very Japanese vintage vibe to ‘em, and I feel like that is positively pushed by aesthetic creation with the Playmobil accessories. These are some of the funnest toy photos I’ve ever seen! These are so far out of my preferred collecting realm, but somethin’ tells me I’ll end up with at least two or three down the road. The price point for each figure is pretty fantastic, and well worth it. ungawa222, Brooklyn_Vinyl and spacemonkey66 like this.